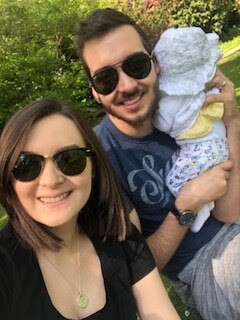 Living for those family days. I know I've been pretty absent from my blog - sorry! Apparently having a small baby means I don't get as much time to myself, and when I do, I just want to switch my brain off! Anyway, I'm here and giving you guys a new blog post. Going by the title, this post will just be a small insight to what we got up to over the bank holiday. So, over the weekend, we had amazing weather. 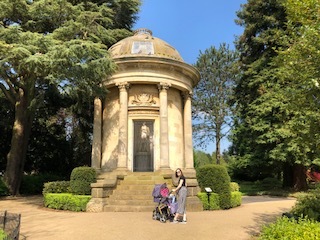 It felt so lovely to have the sun make its appearance and be out and about soaking up that much longed for vitamin D.
We decided to take a trip up to Leamington Spa, and let me tell you, what a beautiful place! The shops were pretty good, as were the choices of restaurants, but by far the best part was sitting in the park by the canal - gorgeous! Feeding time by the canal. This was our first time taking out Edith to a different town, and for a prolonged period of time. I'm sure any first-time parents have some kind of nerves when they do this for the first time, and we were no exception. 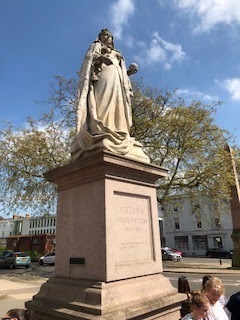 Worrying about whether we had enough nappies, or changes of clothes packed, keeping Edith protected from the sun, and whether she would get upset and us not be able to soothe her. All sorts of worries. Much to our delight, we needn't have worried because our darling girl was as perfect as ever. Obviously, little miss wanted feeding once our lunch arrived, but I've just gotten used to it now. I've learned that I'll probably never enjoy a meal in peace again! One thing I love about getting out is taking our travel system for a spin. I love pushing it, and looking down at Edith as she sleeps the day away. I won't lie, we do seem to have a tiff every time over who gets to push, so thanks to Cosatto for creating an irresistible travel system! 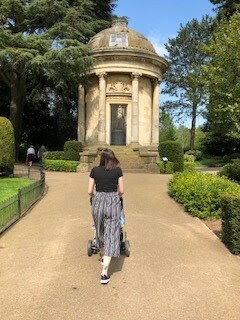 Honestly, it's still so surreal that we are able to take Edie out for a stroll in her pram. She seems to enjoy being in there and gets mesmerised by the pretty prints inside, so that's a big bonus! I ended up being able to push the pram! Going on family days out, is one of the best things. Being able to watch the world through your child's eyes is such a wonderful feeling, and I can't wait for all of the adventures that we have yet to come. 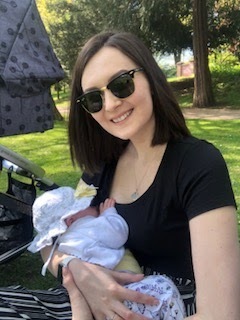 So, although not one of the most thrilling of posts, I still love being able to give a small insight to my new life as a mummy. What are your some of your favourite things to do as a family?